← BeatSkillz Valvesque Flash Sale! 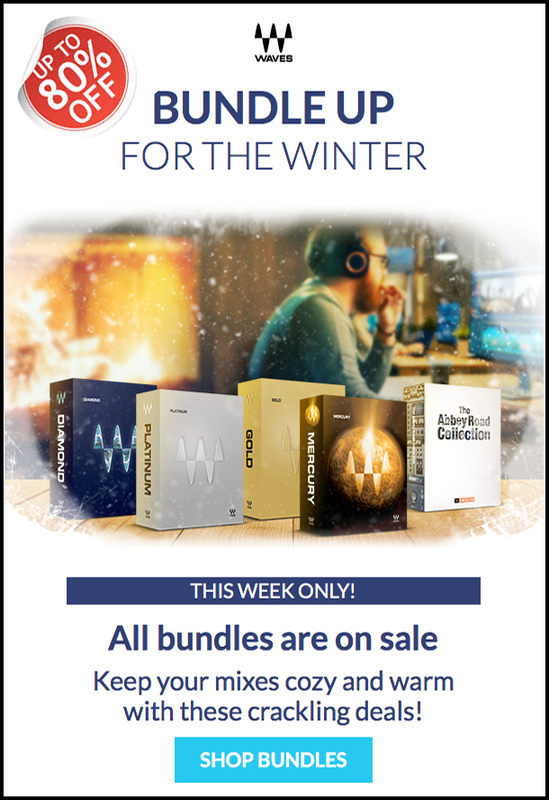 This week only you can get huge savings on all the Waves Bundles. So if you have been thinking of picking up one of their superb collections then this is the time to do it. Combine these savings with a ‘Quantity Discount’ or with the offers on the ‘Private Deals Zone’ and you are sure to obtain the maximum savings available! And many other on the DontCrack Waves page. This entry was posted in DontCrack, Plug-ins, Promotions and tagged Abbey Road Collection, API Collection, CHRIS LORD-ALGE SIGNATURE SERIES, Diamond Bundle, GOLD Bundle, Greg Wells Signature Series, Horizon Bundle, Platinum Bundle, Restoration Bundle, Silver Bundle, SSL 4000 Collection, Vocal Bundle, Waves, Waves Promo. Bookmark the permalink.